Below you will find video teachings from Ron Cantor, I share freely for your edification. Not all things are as they seem, as you will find out watching Ron's video teachings. Really good teachings by Ron. 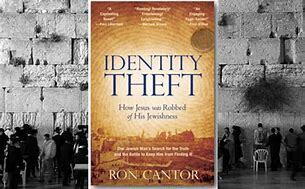 You are going to want to purchase His Book, "Identity Theft", and the rest of the books in that series of books. And please check Ron out and support what he is doing. Thank you for looking and be blessed!